Blogging is now common among all the youth and every one is getting into blogging. But Are they successful? And the simple answer is “some of them are and some of them are not”. In a quick analysis of how blogging stuff works, it’s interesting to see that one alone can’t run a successful blog. You need some kind of support staff for a successful blog.If you have started a blog with partner then it’s 100% guaranty that your blog will be successful. What Factors Effect Blog Success? There is lots of effort made by coupe of people behind running a successful blog or a website. For example: - Face book its not popular just because of Mark Zukarburg but because of lots of people working hard to make face book the best site in social network. Now back to our blogging. You know that SEO which stands for Search Engine Optimisations is the major key factor all the blog rank and rank well on Google Search Engines. We already know that SEO Meta tags are required to make the blog show on Google Search Engines. 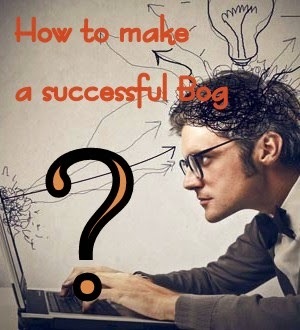 So what are the Factors that Make a Blog Successful? First of all for a successful blog you have to hire few staff which can work paid or un-paid as per your negotiation with the one working for you. Some of the people are willing to work with good bloggers without getting paid you can search for them. So whom do you need to keep in your Team? 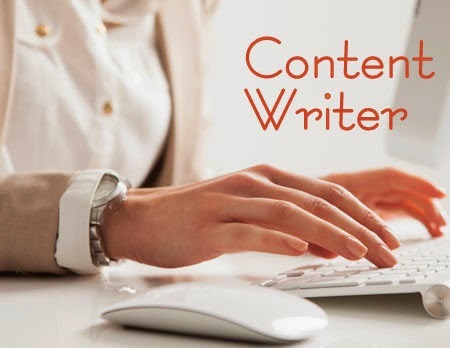 A content writer is a person who updates your blog/website with latest article and which is plagiarism free, this means that the article is unique and is not till now published on the internet. You are looking for someone with good writing skills, excellent hold and command on English Grammar. A person who keeps an eye a check on the quality that the website is providing is known as quality checker. A quality blog show reflection of a successful blog. If you manage to keep your blog up to date then your blog will have a steady flow of traffic as well as income in later stages. A person with good research abilities, who can compare your blog and other company blog and can make considerable changes, to make your website on top is the one you can hire straight away. Now a days we all know you can get free templates or even buy it online in a few dollars. But can you trust a template that you have no idea off that you apply on your blog. Most of the template that are free online bear a Footer credit link that automatically back-links your blog/website to the owner’s blog. A designer is a person who can design your blog as per your requirement. One major benefit of hiring a designer is that they can make you a SEO Friendly Template that will help in your blog ranking. So these are the three people you have to hire for a successful blog. And you are off course the manger and owner of the website. Your job is to develop content as well as watching over your employs. What Else Is needed for a successful Blog? Ok, I will quickly tell you what else you need for a Successful blog. In today’s time blog name and blog URL is the most important. That is why if you do a domain name search you will find most of the name are already registered. So in all this you can do one thing use Google Adwords , that will work just fine to find the top paying as well as top searched keyword and keep that as a blog Title. For the blog URL you can make some modification around the keywords combination and register your domain name via GoDaddy.com or any other registering sites. Try to keep the Domain .com only as it will get you recognized as a commercial site and will get index very quick. After considering the above mentioned things, you will get more productive and earn more out of your blog. Keep in mind you can hire your friends or any one who is willing to work for you for free or may be some other cause. If you have money to spend I will recommend Freelancer.com to hire all the people mentioned above. You will get quality skill workers as well as get the job done.